Italian company IK Multimedia has had quite a year, having launched a range of iOS and Android-compatible devices aimed at musicians on the go. The latest of these is the IK Multimedia iRig Acoustic Stage, a revamped version of the original iRig Acoustic recording system that helps musicians record and play live with as little hassle as possible. The device doesn’t just work standalone either — it also works with the IK Multimedia AmpliTube Acoustic App, which allows you to further tweak and perfect your sound to get exactly what you’re looking for. But is it worth buying in the first place? We put it to the test to find out. The IK Multimedia iRig Acoustic Stage is quite easy to get used to, and has a few interesting and intuitive design choices that help get the job job. The point of this device is to accomplish a goal — capturing a great recording — and IK Multimedia has done a great job at designing it to do so. The device itself clips to your belt or pants, with the microphone cable snaking around to the guitar. 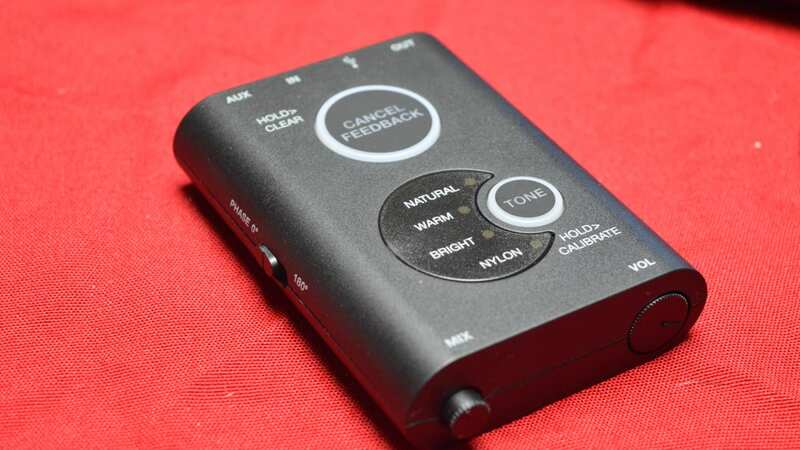 On the front of the device, you’ll find a large button for “cancelling feedback,” along with a smaller button to modify the tone of the recording — which we assume is a simple EQ switch. On the top of the device, you’ll find an aux in port, a microUSB port, and a 1/4″ output. That microUSB port is used to connect to the computer or iPad/iPhone, and turns the device basically into a small-scale audio interface. 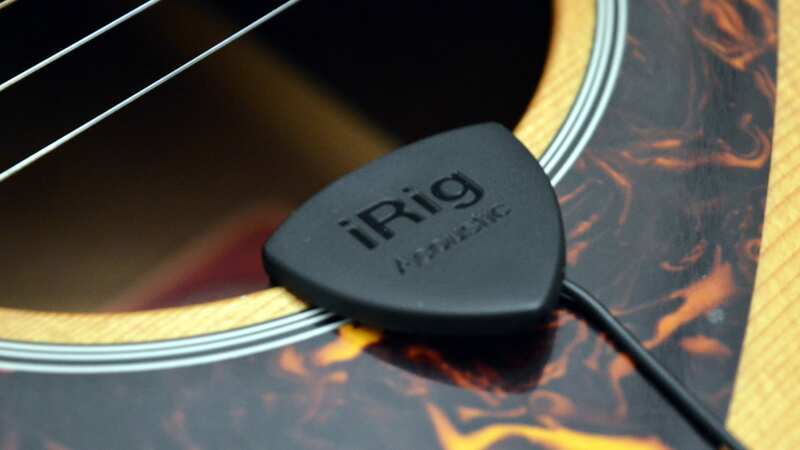 On the right side of the iRig Acoustic Stage, you’ll find the power switch, while the left houses a phase switch. On the bottom, there’s a mix dial, along with a master volume switch. That switch pushes into the iRig, meaning that it can be largely hidden during use so you don’t accidentally change the volume mid-recording — that’s quite a nice touch. In the box, you’ll find the device itself, the microphone, a belt clip, and a pair of batteries. You’ll also find a nice carry case, which is sturdy and houses all of the other different parts. 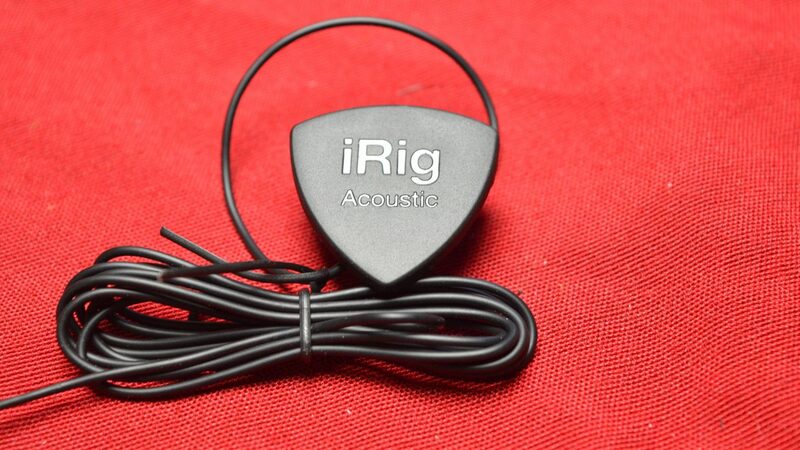 In general, the IK Multimedia iRig Acoustic Stage seems well built, and while the cable itself to the microphone might be a point of breakage at some point, taking proper care of the device will ensure its long life. In testing the sound of the iRig Acoustic Stage, we used two different acoustic guitars — an old non-name Yamaha, and a Martin DRSGT. We were very pleasantly surprised with the sound of the IK Multimedia iRig Acoustic Stage — not because we didn’t expect quality from IK Multimedia, just because the recording sounds so good. A bit about recording an acoustic guitar — generally, you have two options: either record through a built-in pickup in the guitar, or record with a microphone. In the studio, using a microphone is often the preferred option, but on stage things aren’t so easy. The IK Multimedia iRig Acoustic Stage is kind of the best of both worlds — it employs the use of a microphone, but that microphone is always placed close to the guitar, helping avoid issues with movement and some feedback issues. To further combat feedback issues, there’s a big feedback button that’s built to suppress frequencies that often happen on stage. There are 10 different frequency settings, and its quite a nice feature. 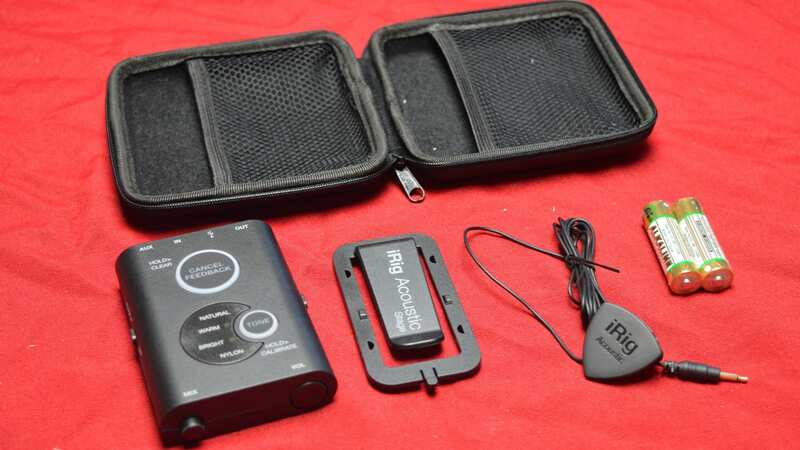 Overall, the IK Multimedia iRig Acoustic Stage doesn’t just sound good, it sounds natural. All of the different tone settings have their own unique charm, and can be very helpful in attaining the right sound. We found the “Bright” option worked best on the old Yamaha we used, while the “Natural” setting was better on the Martin. That likely says more about the guitars than the device itself, but the point is this — the iRig Acoustic Stage is versatile. The IK Multimedia iRig Acoustic Stage is really a home run. It’s well-built and nicely designed, it sounds great, and it’s perfect for the guitarist on a budget. It’s appropriate for both stage and studio use — although if you’re going to use it uniquely in the studio there are plenty of good microphones that might work a little better. If you want to buy the IK Multimedia iRig Acoustic Stage for yourself, you can get it from the links below.